Torra calls himself an interim head of the Catalan government, the Generalitat, since he believes that former Catalan leader Carles Puigdemont, who is facing possible extradition to Spain where he is wanted on rebellion charges, remains the true head of the cabinet. Torra’s candidacy was backed by 66 lawmakers from Junts per Catalunya and Republican Left of Catalonia parties, while 65 lawmakers from parties advocating Spain’s territorial integrity voted against his appointment. 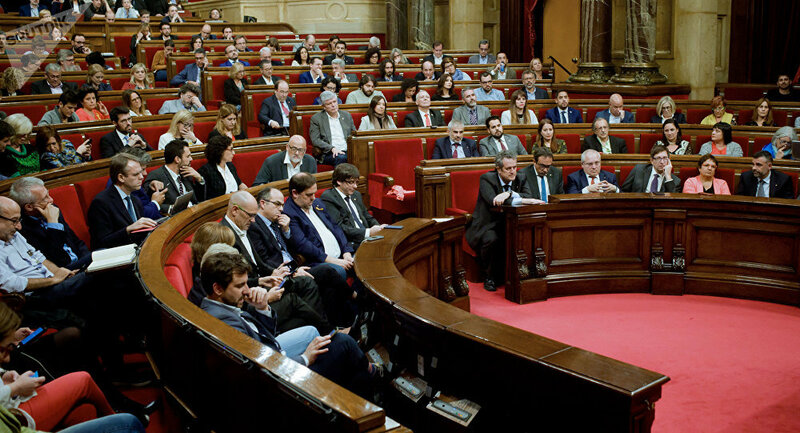 Four representatives of the pro-independence Popular Unity Candidacy abstained. Earlier in May, Catalan lawmakers voted in favor of an amendment that would allow the regional president to be elected without his or her presence in the parliament, in a move that could return former leader Carles Puigdemont, who is in self-imposed exile, to power.